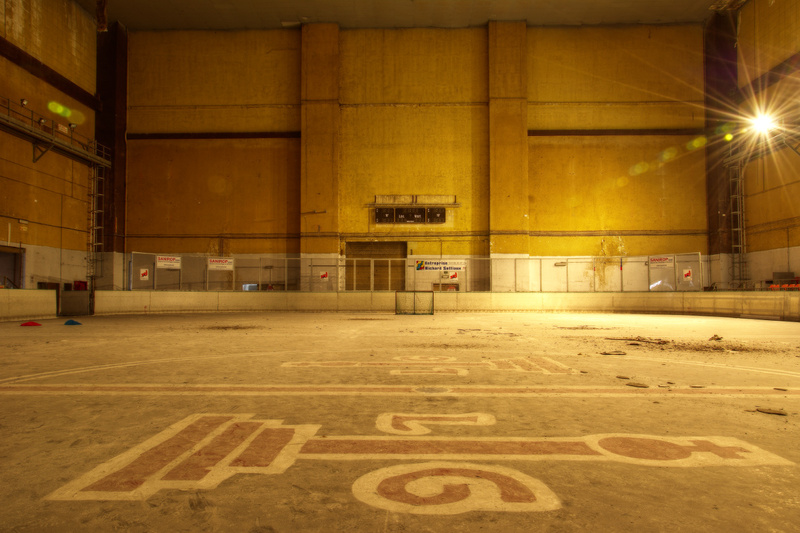 Abandoned ice skating rink somewhere in Belgium. This place is located in an ancient exhibition hall that has been inaugurated in 1939. The architecture is typical of that era and it seems to be on its way to get a protected status. From what I know, it has been closed in 2011 because of security problems due to the lack of maintenance. 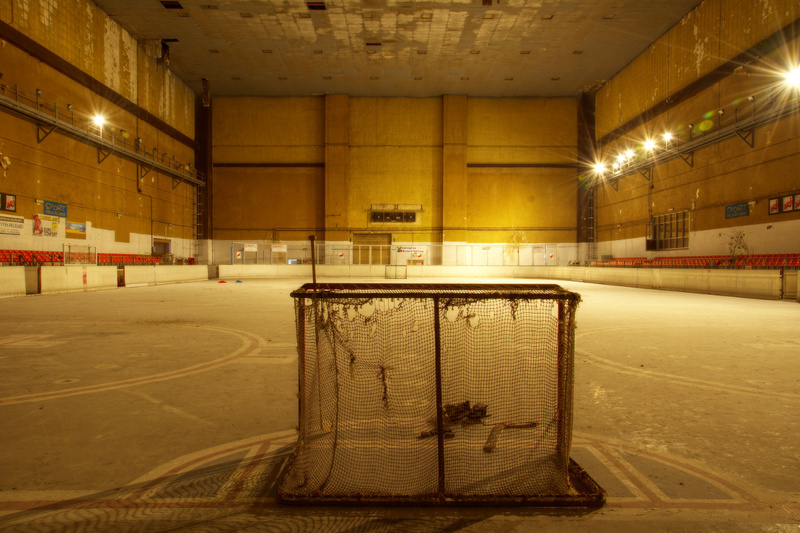 The local ice hockey team was training there as one can guess by looking at the the floor of the rink. The place is still heated and the electricity is working as evidenced by the lights. 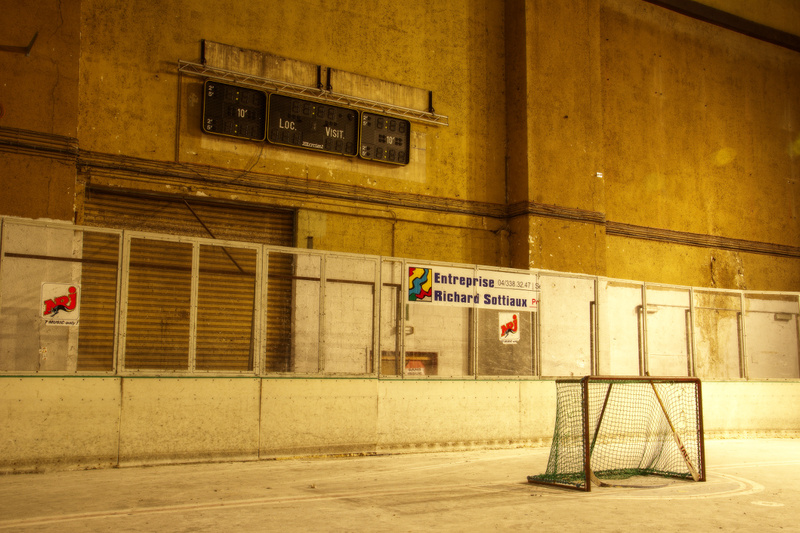 A chance for urban explorers otherwise the rink would be in the complete dark and impossible to photograph. It is also used as shelter by homeless people, though I didn’t met any while exploring the place. There wasn’t much to see there, but at least it gave me the opportunity to see an unusual location. Tagged fine art photography, leisure, lost skate, photography, urban exploration, urbex.